We do not close during the lunch hour, if you would like to pick up your order during that time. Prescriptions cannot be picked up outside of business hours. Also, we cannot leave prescriptions with the doctor or laboratory next door. We apologize for any inconvenience. If you prefer, we can always ship your order to your home or office. If your physician calls or faxes a new prescription to our pharmacy, we will not fill it until you contact us. Please stop by the pharmacy, before you leave your physician's office, or call and let us know when you want your order filled. Remember, if you have an appointment scheduled after 3:00pm, the pharmacy may be closed by the time your appointment is over. Please call your refills in at least 24 hours in advance. We have a confidential answering machine on 24 hours a day. Please feel free to call at your convenience. We will call you when your order is ready. We cannot guarantee same day fills and we do not want you to be out of your medication because we have to make it. Please, help us to serve you better by planning ahead! We do not mind if you need to fill your medication early or if you would like to get more than a month supply at a time. Be prepared! Everyone has emergencies and we do not want you to worry about your prescriptions during that time. 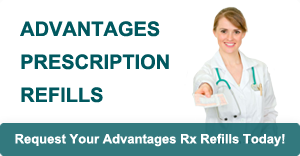 We also have auto refill where we can set your prescriptions to fill automatically and we will call you when it is ready or have it shipped to your address automatically! Ask a pharmacy associate for details. We do not contract with any insurance companies. This does not mean your insurance will not reimburse you for your prescriptions. So, we include claim forms every time you get a prescription filled at our pharmacy. If you have never submitted a claim for your prescriptions, call your prescription insurance company and ask them if compounded medications are covered under your plan. If yes, then ask what you need to do to get your money back. Some insurance companies will accept our form, but some want you to fill out their own form. Please make copies of everything you send your insurance company! We charge $5 per month to reprint any claim forms. Also, do not wait to contact your insurance company. Some companies put a 60 or 90 day limit on claims. If you cannot make it to the pharmacy to pick up your prescription, we will be happy to mail it to your home (we are not able to mail to apartment complexes) or office. We use UPS and they guarantee 3 business days on deliveries. We only charge UPS' shipping charges and not any handling charges. Thus, the price will vary depending on zip code. We do waive the shipping fee if you get a 2 month supply or more of your prescription. Please call if you ever have any questions, concerns or confusion concerning your prescriptions. We are here to help you in any way possible!